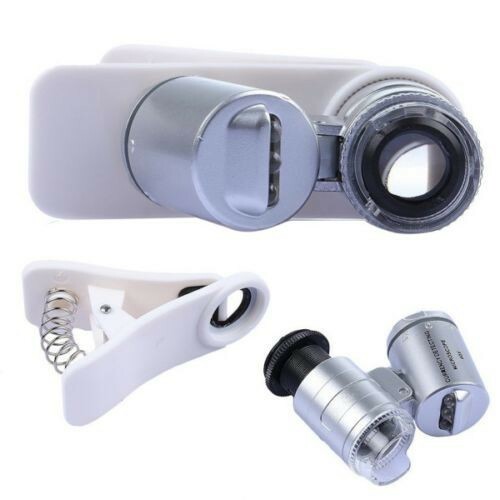 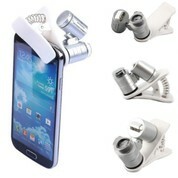 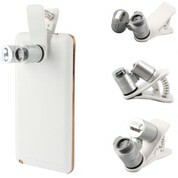 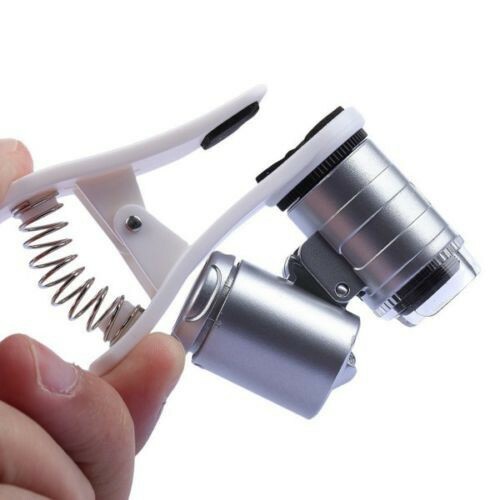 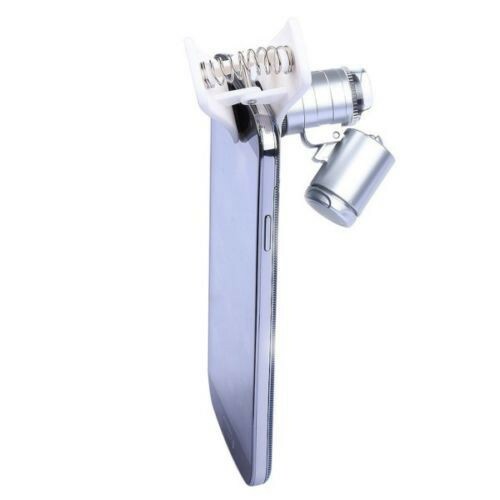 60X zoom microscope magnify lens for universal phones. Bright LED light of the magnifying glass provides enough light at any dim condition. 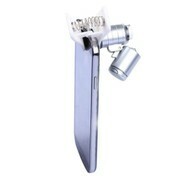 LEDs powered by 3 LR1130 cell batteries (included). 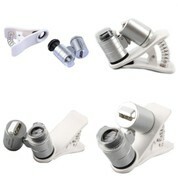 Product Size: 7cm x 6cm.